If we were having coffee I would tell you that the peak of autumn colors in Sacramento begins now through Thanksgiving unless a major winter storm comes through. Ski resorts are already opening in Lake Tahoe just 90 miles from here. Are you feeling cold yet? How about a nice, hot cup of Colombian medium roast with a smidge of pumpkin spice-flavored coffee for you today? I also have tea if you prefer. I even have a fire in the fireplace today. I am so in the autumn mood, that I have surrounded myself in my house with orange and rust décor in towels, silk flowers, brown tablecloth, the works. If we were having coffee I would tell you that, although today ended up being rainy and cold (can I get an AMEN?? ), Saturday was an incredibly gorgeous day. In fact we were invited to drive up to Apple Hill with some friends. Our neighbors invited us to their potluck. My hubby’s boss invited him on a bike ride. One side of the closet close to ready with 8 feet of double hanging space. …today we began the construction of the interior of our new walk-in closet that came with the master bedroom addition. I am married to a master carpenter, so other than planning the layout, he did all the work. We are still working on it, but soon I can hang my clothes in ONE place, rather than figure out which of three locations my clothes are currently residing! I am working on a DIY towel rack for the new master bath, using an old piece of driftwood from the river. Pinterest-worthy finished photos soon! On my morning dog-walking excursion the other day, I captured some fabulous fall leaves. They are in the gallery. Most of the photos are close-ups because many of the trees are still mostly green. No colorful tree-lined streets just yet, but that is for another post. I will make you sick of Autumn in no time! For those who celebrate Veteran’s Day (USA), we get the holiday on Wednesday. We will be hard at work on that closet! Regardless of your geography, please honor a veteran this week. If you are not already enjoying coffee with us at Part-Time Monster’s Weekend Coffee Share, come join any time and tell us about your week! I am very happy that finally you can enjoy cooler temperatures! And Autumn…. Thank you, Lucile, have a great weekend! Fall is my all time favorite season! So glad you got some rain. I’m guessing it wasn’t enough? I like to take fall leaves, write the date they are picked on them and press them between the pages of a book. They are fun to find much later after you’ve forgotten about them. What a great idea, Eric!! I just blog about the leaves and the date is there on the post 😉 Getting more rain tomorrow all day. Getting snow in the Sierras which is really critical, so yay! Thanks for stopping by!! I just love autumn in the US! I’ve visited a couple of times and the autumn leaves and their beautiful colours always amaze me. I live in Queensland which has a very mild winter but we have gorgeous purple jacaranda trees that are amazing in Spring. Thank you for sharing your Autumn it is beautiful. Always great to have you link up with us at #AnythingGoes. have a great week Terri! Thank you, Sue! Just south of me about 500 miles, San Diego has a lot of the purple jacaranda trees. We see those mostly in the spring there. Don’t you just love Autumn/Fall? October, here in Montreal, is just splendiferous. By November, there are a few stragglers (mostly the red maples) but the sun seems to shine brightest. Nice to meet you, Terri! Hi Dale and thank you! I will just bet the colors in Montreal are amazing. Very nice to meet you, too! Sheesh! How did I miss this comment? I apologise for my slow response! The colours were simply fantastic this year. As you know, San Diego (despite its other charms) doesn’t have many places with concentrated autumn colors. When we see a tree ablaze with color among the evergreens, it is a treat. I’ve really enjoyed the change of seasons through the eyes and lens of bloggers who live in parts of the country that experience the exuberance of fall. Keep sharing! Yes, so true. Up here, it almost happened overnight! We had a couple of 45 degree or less nights. There is a beautiful street near downtown…I need to take a drive this week and snap some photos. Some other bloggers have been posting amazing fall panoramas!! Gorgeous photos! Most of the leaves have changed and fallen here it seems. 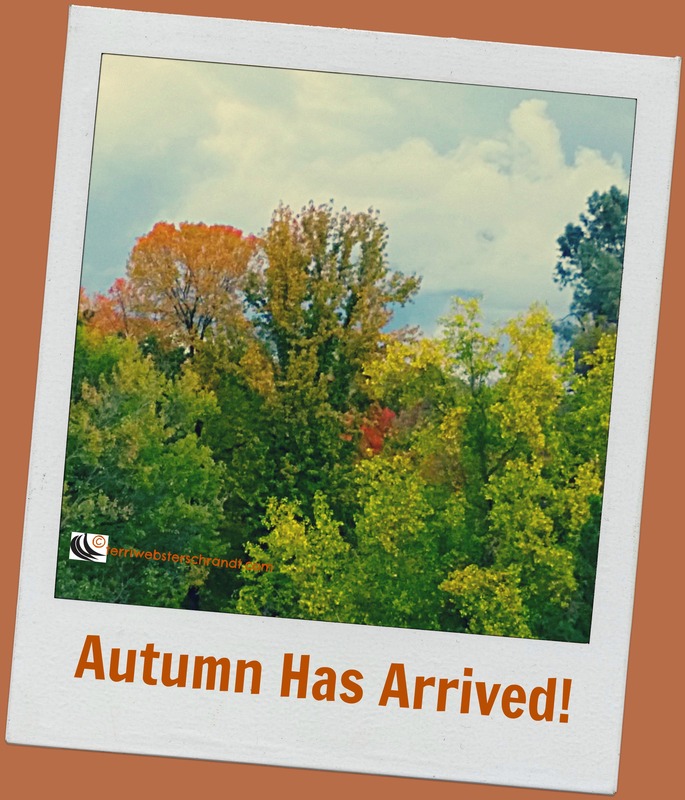 Beautiful photos—love the changing leaves! We have a lot of evergreens in this area, so we don’t see as many of the brilliant fall colors. Good luck with the closet addition—I’m sure you’ll be glad to have that finished!! Some of the ski resorts opened around here a few weeks ago, but with a week in the 70s I don’t know if they had to close again or not. I mean, it did get below freezing at night in the mountains (or what we New Englanders call “mountains”). I hope you have a good week and enjoy fall! Thanks, Trent. It’s a beautiful rainy day and snow is falling at the high altitudes, perfect timing for veterans day holiday. Have a great week! Mmm Pumpkin spiced coffee 🙂 Beautiful fall colors! Lucky your carpenter husband has time and energy for projects! Mine give it all to the clients these days. Hoping to get the gutters cleaned before the rain they promised this weekend. One more thing… thank you for playing the Pinterest game. Always fun, thanks for offering it! I am hoping I am not commenting twice. I am not sure my last one posted. Anyway, I lived in the south my entire life and never really had seasons. We moved to Montana in June and I am loving every minute. We have snow on the ground now but the leaves last month were stunning. I take pictures daily I am so blown away by how pretty it is. I have lived in the south all my life so I have never really experienced seasons. We moved to Montana this past June and I am in Heaven! We now have snow on the ground but the colors were stunning. I take pictures daily because I am so blown away by how pretty everything is. Gosh, sounds like culture shocks and definitely heaven! I’m envious of your fall color. This part of Texas has about a nanosecond of fall color before everything turns gray. We are still in the green tinged with brown phase right now, but this morning was our coldest morning so far. Mid 40’s. I love the light this time of year though, something about it is different and the air has that ozone filled excitement in it that makes me want to just get in the car and drive somewhere. I love the fall. Thank you, ours seems short this year due to the prolonged summer. We’re about to get a good winter storm, snow in the Sierras in important for our drought situation. I have tons of family in various parts of Texas. What city are you near? I’m in Weatherford, about 30 minutes from Fort Worth. I was born in Fort Worth.